Bala & Penllyn01676 521021work TownBala & Penllyn is situated in the Snowdonia National Park, Wales, in an area known as the Welsh Lake District. The area has dramatic scenery with mountains almost touching 3,000 ft high, deep valleys, fast flowing streams, rivers, waterfalls, forests and many lakes. Visitors can enjoy the Bala & Penllyn area or use it as an excellent base to explore both Mid-Wales and North Wales including Snowdonia. 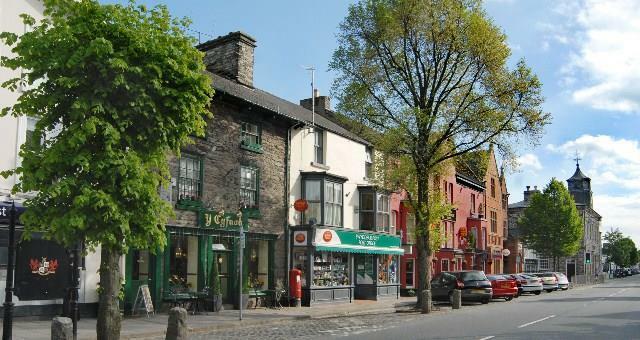 Bala is a small, historic, market town that provides all the essential services for visitors including: banks, a post office, supermarkets and shops selling local produce including two traditional butchers and delis with Welsh and international products. Both butchers have won many awards and including the best butcher in Wales. 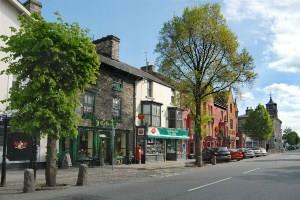 There are, of course, cafes, restaurants, pubs and Inns, catering for a range of tastes, either in Bala or nearby. Penllyn is the area around Bala with many small towns and villages each with their own character and history. Bala was founded by Royal Charter around 1310 by Roger de Mortimer of Chirk Caslte. He was keen to establish the town as a means to taming the rebellious 'Quakers' of the Penllyn district near to Bala. The town we see today is largely that built as a result of Roger de Mortimer street layout, which marked out a series of square courts in the 14th century. The main street running through the town known as 'Stryd Fawr' being the exception. This was the place where markets were held, and continues to provide the civic focus in the town. One of the earliest structures is the Tower of Bala or 'tomen', a tumulous or moat hill formerly thought to mark the site of a Roman camp. Other notable structures and buildings include the large stone built Calvanistic Methodist theological college 'Coleg y Bala' and the grammar school, founded in 1712. A statue of the Rev Thomas Charles (1755 - 1814) is also a key feature in the town. He was a renowned theological writer credited largely with the foundation of the British and Foreign Bible Society. During the 18th century, Bala was known as one of the leading centres for the manufacture of flannel, stockings, gloves and hosiery. Many people in Bala made their living as 'knitters'. Almost everyone knitted socks and generated income from selling them at the popular 'knitters market' which helped to make Bala's name further afield. Today, the main local industries are farming and tourism. Bala Lake, or Llyn Tegid, is over four miles long and a mile wide at it's widest point, making it the largest natural lake in Wales. It is an important home for the rare 'gwyniad' fish - a species that became trapped in the lake at the end of the last Ice age some 10,000 years ago. It is a member of the whitefish family, and is only found in Llyn Tegid. The lake takes its name from Tegid Foel, a character in the Mabinogi, the collection of early native Welsh tales, in which he is the husband of Ceridwen the enchantress. Bala & Penllyn is situated in the Snowdonia National Park, Wales, in an area known as the Welsh Lake District. The area has dramatic scenery with mountains almost touching 3,000 ft high, deep valleys, fast flowing streams, rivers, waterfalls, forests and many lakes. Visitors can enjoy the Bala & Penllyn area or use it as an excellent base to explore both Mid-Wales and North Wales including Snowdonia. Afon Tryweryn which is fed by Llyn Celyn that runs through Bala is world renowned as a white water kayaking river. Leading canoe organisations hold national and international events there every year and the National Whitewater Centre has its home at 'Canolfan Tryweryn' in Bala.